I did notice that this meme wasn’t appearing in my reader any more. Wendi has been doing a great job with it! I didn’t participate this week because I’m not too interested in the topic, but I do normally and you should too if you want! Teaser Tuesdays are hosted by http://shouldbereading.wordpress.com (MizB17). 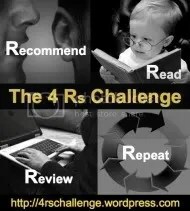 Will you share some of your 2nd Life adventures with us?!!! I’m glad you decided to give HoT a chance and I hope you’ll play again. 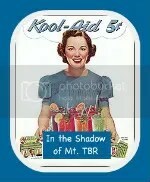 I always wanted to be a Kool-Aid mom. I think the first 30 minutes of Super Troopers is the FUNNIEST 30 minutes in film! Unfortunately, I thought the rest of the movie wasn’t so great. I’m also a big fan of Office Space. I played too! Check out my ten, HERE! We’re glad we have you back from SL! I love Madea, Speed Racer was so much better than I thought it would be and when I finally watched Super Troopers it became one of my favorites. I love “Rocky Horror Picture Show” and “Office Space”!